With Valentine’s Day coming up soon, it’s easy to fall into the trap of shelling out cash for that special someone. However, the cost of oversized plush bears, floral arrangements and boxes of chocolate can quickly accumulate. And that’s just the cost if you want to get gifts. This doesn’t include the date itself. Before going to stores and buying all your gifts be sure to check Groupon for any sort of deals. Right now there are sales for Shari’s Berries and ProFlowers. They retail at $40 each, but with these coupons the total comes out to around $20. These are two easy, inexpensive gifts. Perhaps you’ve already bought all your gifts and you’re stuck on what to do Feb. 14. Try staying in instead of going out. Making dinner together and baking sweets afterwards while listening to your favorite tunes can be super romantic if you make it. If you are both determined on going out, there are definitely options that don’t involve spending money. For instance, if the weather permits, try having a little picnic at the Waterfront Park. No matter what you and that special someone choose to do, what matters is you make it your own. 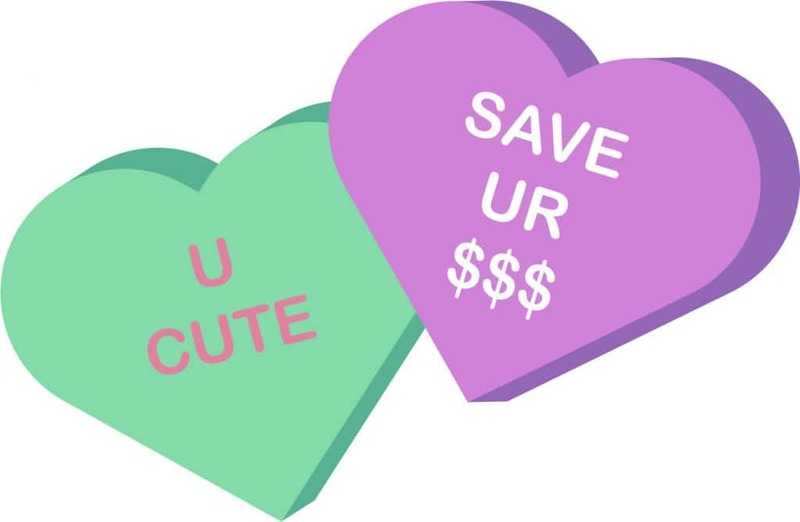 There’s no set way to do Valentine’s Day, but it’s always best when money can be saved.